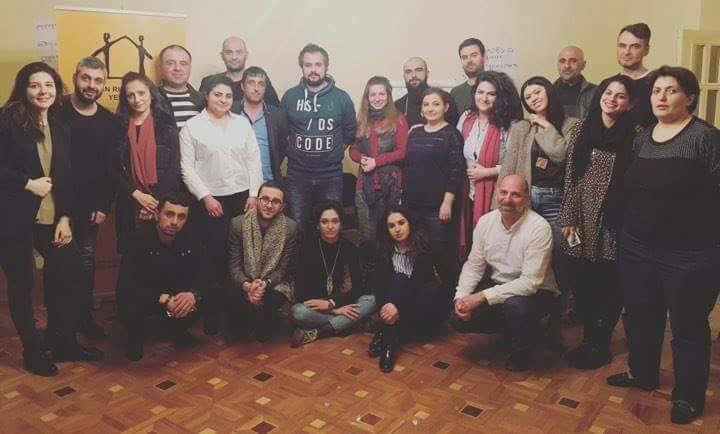 The Human Rights House in Yerevan held a two-day training for Armenian human rights defenders on documenting human rights violations. Last years, there were violations of freedom of assembly and expression, namely, excessive use of force by law enforcement officers during the dispersal of rallies, in Armenia. 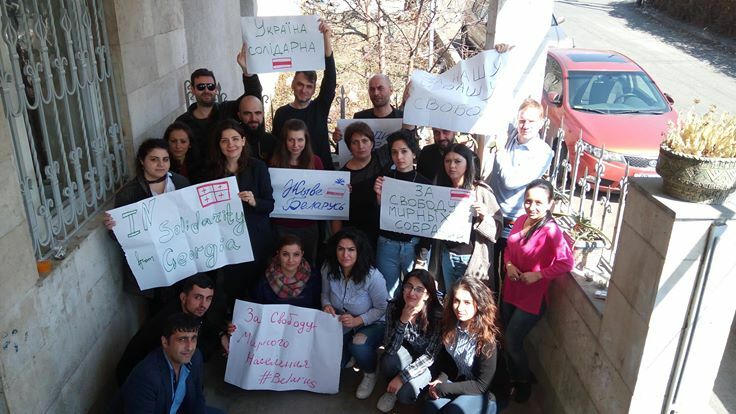 The purpose of the training was to teach human rights defenders to document human rights violations related to exercising the right to freedom of assembly and expression. The theme is relevant because presidential elections will be held in Armenia on April 2. Civil society gets ready for possible fraud and, in the result, mass protests. Representatives and partners of Human Rights Houses in Serbia, Belarus, Croatia, and Georgia were trainers. 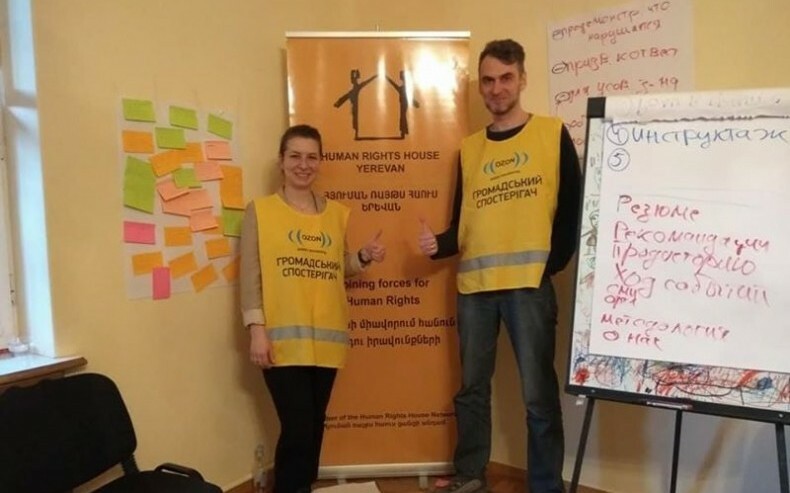 Oleksii Bida, Coordinator of the Center for Documentation of the Ukrainian Helsinki Human Rights Union and Valeriia Rybak, Director of the NGO “Human Rights Vector” represented Ukraine. During the training, the dilemmas and ethical principles of human rights violations documenting and preparations for the monitoring of peaceful assembly were discussed. The participants learned how to work with video, how to protect field groups of monitors. They also practiced interviewing victims and writing reports. ‘For me, the experience exchange between trainers was priceless. It was possible to compare trends in violations of freedom of assembly not only in the former Soviet Union countries but also the entire former socialist bloc,’ says Oleksii Bida. ‘Consistency is crucial in the monitoring of violations of freedom of assembly. Through observation of peaceful assemblies regularly, one can avoid many violations by the police and participants. Monitors are professional witnesses not involved in the events, having a number of skills, are able to make a complete picture of events. It is important that using monitoring it is not necessary to become the opposition to authorities; there is an opportunity to build a partnership together and to move in the direction of law. I wish the participants of the training to be strong because the way is long, but if they do not pass it, they will stay in the same place,’ says Valeriia Rybak.